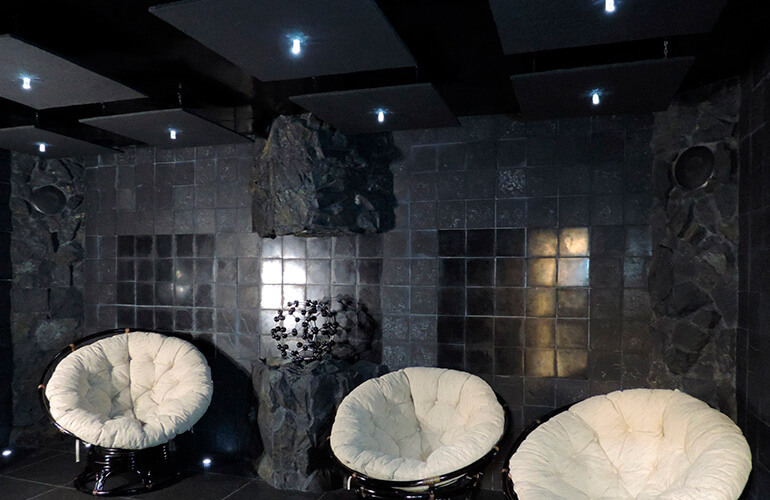 Shungite Spa Salon has a shungite grotto. It is noted on the salon’s website that this construction is unique not only for Russia but for the whole world because there are no analogues. Its construction process consisted of combining both designer ideas and technical solutions. All spa services are done using products of Karbon-Shungit Company. Experts highlight that massages with shungite, due to shungite’s healing properties, are two to three times more effective than massages with a use of regular stones.